I've been hanging around now for a couple weeks as I figure out our new ML. 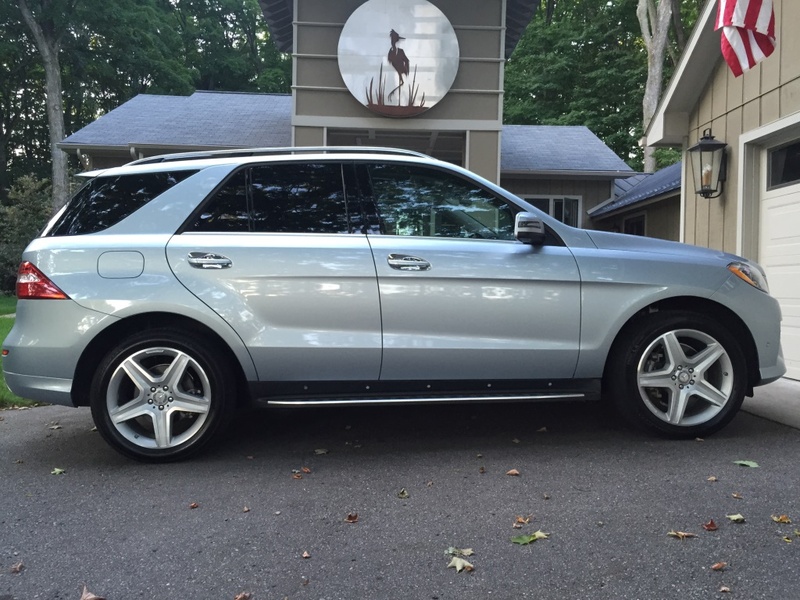 Wasn't really looking to come back to MB as I've loved our BMWs over the last several years. But, my better side didn't like the difficult/hard steering in the BMWs so we are back to her love: Benz. 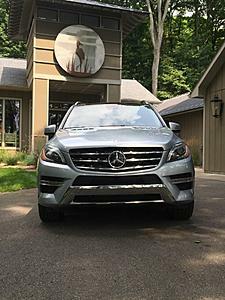 MSRP $71,110. Bought it CPO with 6k miles. A service is done, so got prepaid B-A-B service and 5 year MB Tire/Wheel policy also. So far only a couple mods. The pedals are awesome compared to stock. Best $60 spent so far on this ML. Steering is really soft, ride is luxury. Good to be back. Look forward to sharing experiences. Oh, I got a set of winters already getting put together. Should be fun to get this out in the snow in a couple months. Or maybe a little later than that if we're lucky! Looks like it's nicely equipped, I love my ML-250. I like that now you can get the sport pkg ext on the diesels. Which BMW(s?) did you have? Many on that side are complaining that the steering has gotten too light! I personally don't like the ML steering. Way too boosted in my opinion. But, it's not my opinion that matters in this case. I had an X5 diesel, then X5 M Sport (this is the one that had the "bad" steering for someone, but I thought it was perfect! ), then for fun I got a 650 M Sport. Most addictive car I've ever owned. This ML is a great luxury transportation device. It's not exciting for me to drive. But, it serves a purpose and the looks have really grown on me since the first time I said I disliked this design. The sport package definitely helps. For $71K MSRP, I'm guessing a purchase price of $58K? The F15 (2014+ X5) has similar steering resistance and ride comfort compared to the ML/GLE. Many BMW enthusiasts are not happy about it but the X5 serves a different market than the 3 Series. Smart move by BMW. Tell me about the $60 pedal mod. 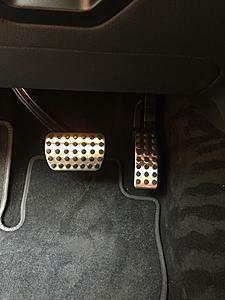 AMG pedals. Widely discussed here. You are really close on the price I paid. Overall, a really fair deal. As for the BMWs, I had pre '14 so I had the real (hydraulic) steering. The M Sport version rode like a car. Like I said, this ML has a different purpose and it's great at what it does. The retail price is over $100 I think, but there is an eBay seller (keenanmotors4311) that will sell for $55 plus shipping. They bundled shipping and I got the cargo tray, pedals covers and plate frame. The pedal cover for the brake pulls right off. The accelerator pedal didn't even have a cover(!!!). That was easy. Thx. Looks like a great source.